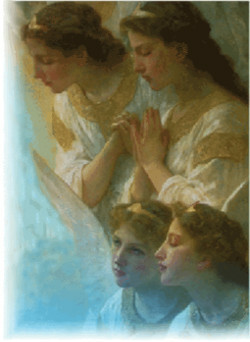 Messages from Ann & the Angels - 11/24/2018 • A Happy Honest Holiday! As so many of you embark upon your holiday preparations, remember that your life, even at this busy time of year, can be easy, joyful, graceful, and fun. Furthermore, if you allow yourself such joy in the moment, then the next will be even better. Can you buy your holiday presents with joy? If not, skip the shopping and write love letters to your loved ones, make something for them, or offer them some help. Can you decorate with joy? If not enjoy the decorations that others love to share. Can you write your holiday cards with joy? If not, call, send emails, pray. Dear ones you are under no obligation to anyone upon this earth whatsoever, no matter what you – or they – believe. Your singular obligation is to the Divine Presence within you, to your heart of hearts. The Presence of Love that gives you life wants you to love your life, and it knows that in allowing yourself to honor your own heart you will, by your very loving nature, care about the hearts of others as well. In filling your own cup, you desire to spill it over. By giving yourself the time you need to find peace, you bring peace to others. By honoring your own finances, you will give gifts that have meaning rather than just "buying to buy." Those of you who have children will become better parents if you honor your own heart. Those of you who teach will share by example. Those of you who take care of others will come with a loving, compassionate presence if you share compassion with yourself first. So this holiday season, ask yourself, "What gives me joy?" "What is truly in my heart?" "Which traditions resonate with me this year and which do not?" "Which gatherings do I truly feel like attending?" Be honest with yourself. And then be kindly, lovingly, honest with others. This dear ones, is Love – an authentic sharing of the Christ-light and Presence within your own authentic hearts.